The Michigan Test for Teacher Certification (MTTC) is a mandated testing program that is an essential part on the way to becoming a certified teacher in Michigan. These examinations will ensure that each certified teacher has the necessary professional readiness and content knowledge to serve in Michigan schools. The MTTC Health Test (043) is a subject area test you must pass, should you wish to become certified to teach health education in the state of Michigan. 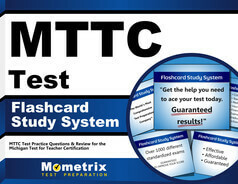 Mometrix offers a MTTC Health (043) practice test to help you study for and pass this exam. 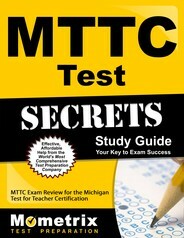 Before you take the practice test, a few things to note about the actual MTTC Health Test (043). You may take the exam either in paper-based test (PBT) format or computer-based test (CBT) format. The test questions and scoring criteria for both the PBT and CBT are the same, however time limits are different. A passing score of 220 is required for both test formats. Should you choose the PBT, you are allowed 4 hours and 30 minutes to complete the test. If you choose the CPT, you will be allowed 2 hours and 30 minutes. Whether you choose the PBT or CMT for the MTTC Health Test (043), Mometrix has a practice test designed to help you study for and successfully complete this exam. Check out our MTTC Health (043) practice test to get ready to pass your exam and become certified to teach health in Michigan!